King salmon in New Zealand are raised in areas selected for their isolation, water quality and flow. 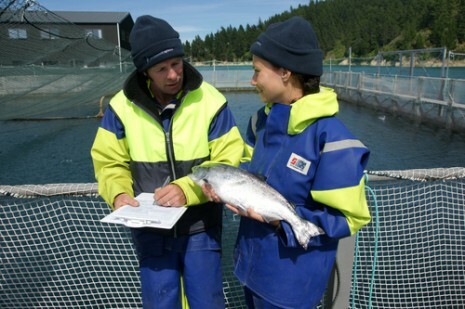 To ensure our waters remain pristine, New Zealand salmon farmers adhere to world-leading Environmental Codes of Practice that include regular monitoring of the seabed and waterways. Independent authorities also monitor the industry’s environmental performance through the resource consent process, requiring independent scientific studies be conducted on all potential farm sites, and ongoing environmental monitoring during the life of the farm.